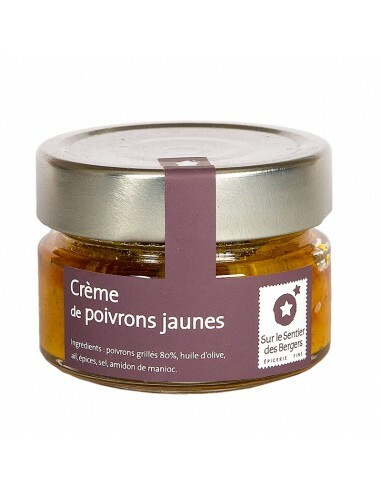 80% yellow peppers, garlic and olive oil from Provence ... For an aperitif full of colour and flavours! This yellow pepper cream is excellent for spreading as an aperitif, but also as a sandwich spread or as an side for meat and fish. 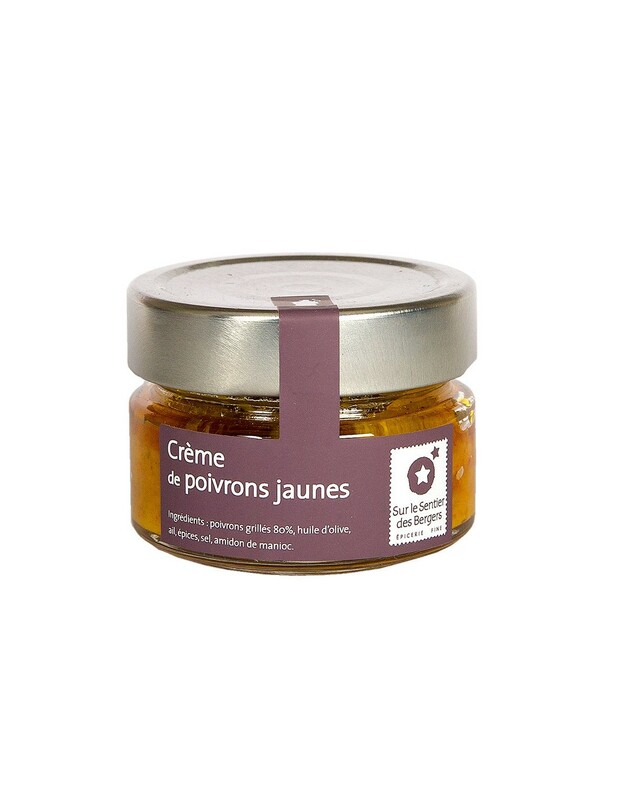 Excellent for spreading as an aperitif, but also as a sandwich spread or as an side for meat and fish. Grilled peppers (80%), olive oil, garlic, spices, salt, cassava starch E1442.